Nothing is as powerful as a group of concerned citizens visiting their senator or representative. The Advocacy Action Networks are a connection of patients and health care providers. They advocate for legislative solutions to access-to-care barriers to improve the lives of those affected by psoriatic disease. They connect once a month to discuss legislative updates and identify advocacy opportunities in their respective regions. The Advocacy Action Network was conceived in 2016, when the National Psoriasis Foundation’s advocacy team was working to pass patient protection bills in the Northeast region of the country. NPF was so successful in the Northeast that we needed more hands – a group of highly engaged advocates we could call on to engage and educate lawmakers. Having an advocate meet with their respective lawmaker is much more effective than having a professional lobbyist visit a lawmaker’s office. Lawmakers are more receptive to an actual constituent than to anyone else. NPF already had a handful of highly engaged advocates in the Northeast. We needed to mobilize these advocates to further elevate the patient voice. From there the Northeast Advocacy Action Network was born. Every month, patient and health care providers got together to share legislative solutions to access-to-care barriers in their region. Together they wrote emails, joined coalitions, and lobbied lawmakers. This legislation was led to concern for years in the New York state legislature. It finally passed on New Year’s Eve of 2016. It is one of the strongest step therapy bills in the nation, if not the strongest. This new law, signed by the governor, doesn’t ban step therapy, but makes it easier for doctors to override such protocols, allowing the doctor instead of the insurance company to decide the best treatment plan for the patient. Each network is led by an NPF advocacy staffer. For example, Patrick Stone (Director of Government Relations) leads the network in the Northeast, MaryAnn McCabe (State Government Relations Manager) leads the network in the Midwest, and Amy Prentice (State Government Relations Manager) leads the network in the South. The West Coast Advocacy Action Network, run by McCabe and Stone, will begin in the fall. 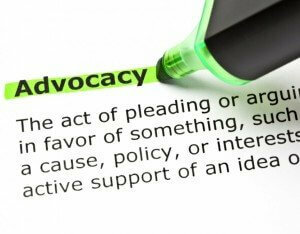 The Advocacy Action Networks empower their advocates to elevate the patient voice. These networks have been very successful because their advocates purposefully engage their lawmakers to take action, resulting in legislative victories. These victories have impacted the lives of thousands of patients across all diseases – not just psoriatic disease. That is something everyone involved can feel good about. We are very proud to share the success of our Advocacy Action Networks. If you are interested in advocacy and would like to join an Advocacy Action Network, please contact MaryAnn McCabe (mmccabe@psoriasis.org) to get involved. You can also learn more through our step therapy news and blog.